Services - Signature Paving Services, Inc.
Signature Paving Services can help design, construct and maintain the work you have planned. This page shows just a sample of what we offer, so if you don’t see what you’re looking for, give us a call. We offer a wide variety of asphalt paving services to our residential, commercial and heavy industrial customers. Our clients include local home and small business owners as well as the some of the most recognizable “big box” stores and national brands. Basic pavement maintenance is key to ensuring your asphalt looks good and lasts as long as possible. In addition to extending the service life of your asphalt, proper maintenance will improve your pavement’s aesthetics, safety and ease of care. 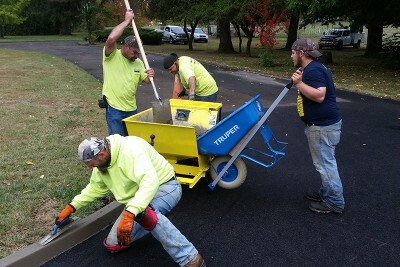 Our work extends well beyond the design, installation and maintenance of asphalt. 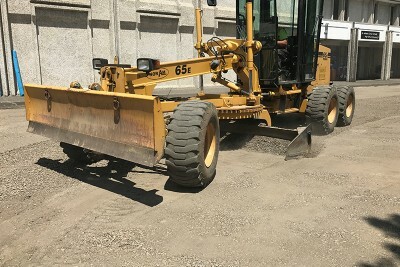 We’re also pleased to offer supplemental services such as curbing, wheel stops, sweeping and grading. We really are “Everything Asphalt”, so if you don’t see what you’re looking for, give us a call! Residential paving is where we started, and one of the things we do best. When you invite one of our installation or maintenance crews onto your property you can be sure you’ll receive the results you expect and more. 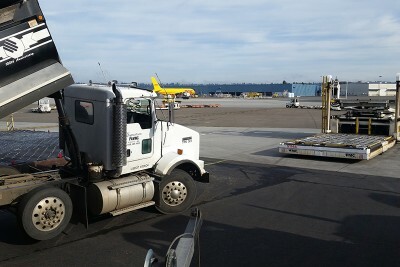 Commercial asphalt work at Signature Paving is built around service and value. We have a long history of delivering paving that is fairly priced and of the highest quality, and we welcome every opportunity to showcase our services. 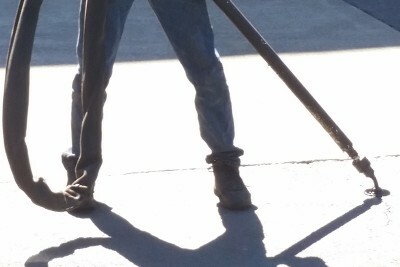 Heavy industrial asphalt work is always about options and problem solving at Signature Paving Services. Our industrial clients can expect us to evaluate their needs and use our extensive experience to recommend an appropriate solution. 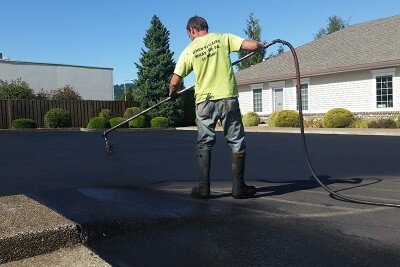 Few activities improve the aesthetics and integrity of your asphalt as quickly and inexpensively as a commercially installed sealant. Residential, commercial, and industrial sites can all benefit from an application when the time is right. Ask us if it’s appropriate for your surface. 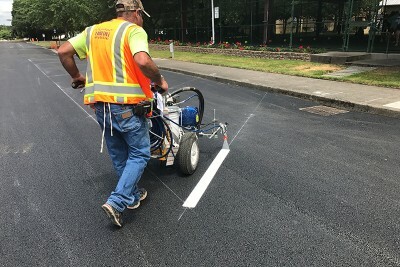 Crack banding is a process in which a hot, rubberized sealant is applied to open cracks in the pavement to prevent water, dirt and insect intrusion. The crack sealant will remain pliable after it has cured and is designed to flex with the pavement’s seasonal movement. Striping is a relatively inexpensive maintenance item that delivers a great return on investment. Our stripers lay bright, crisp lines that can ensure compliance with local accessibility codes and effectively “direct” customers to your storefront. If you need to keep cars, water, and bark dust in their place, a well designed curbing lay-out and installation might be the answer. Our designs will have the added benefit of improved curb-appeal and accessibility. 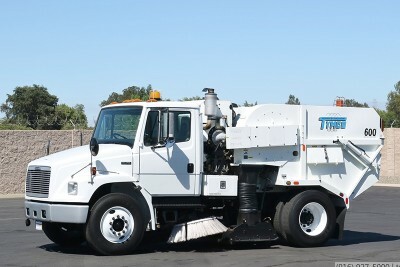 Our sweep trucks employ the latest in Air Induction technology to thoroughly scrub and vacuum the pavement surface. We’re pleased to schedule routine visits or simply arrive whenever you call. “After-Hours” is never a problem. 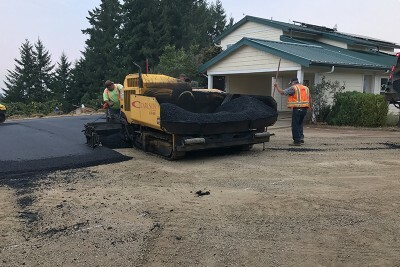 Base preparation is critical to a perfect asphalt installation, and the crew at Signature Paving Services will spend the time to get it right. 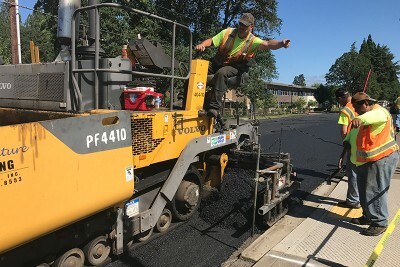 If asphalt doesn’t factor in to your project, we’re happy to apply the same expertise to private roads, lay-down yards, and any other gravel surfaces.